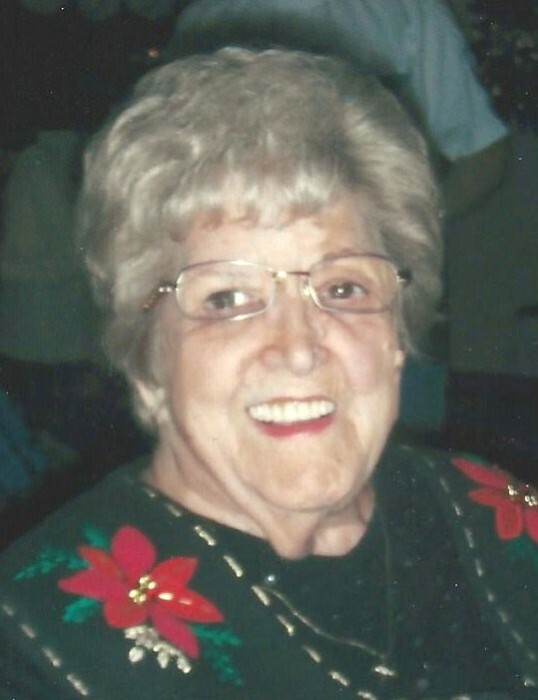 Shirley Edna Elizabeth Upchurch, 90, of Cumberland, formerly of Dagsboro, DE, died Saturday, February 9, 2019 at the Allegany Health, Nursing and Rehab Center. Born December 29, 1928 in Baltimore, MD, she was the daughter of the late Edwin W. Jones and Edna (Seyfferth) Jones Weber. She was also preceded in death by her husband Asby “Doc” Upchurch; her son-in-law, Frank Ketterman; her step-father, Bernie Weber; her brother, Robert Jones; and, her dear companion, “Bud” Baker. Shirley had worked at the Berlin Shirt Factory and NCR. For many years, she worked in the deli in Montego Bay Shopping Center. She truly enjoyed being an aide at the elementary schools through the Delaware Foster Grandparent program. Shirley enjoyed reading “a good novel.” She was also known for her crocheting work, creating beautiful afghans and children’s sweaters. Survivors include her three children, Gary L. Upchurch and wife Wendy, Ridgeley, WV, Deborah D. Long and husband Steve, Frankford, DE, and Shirley Jane Ketterman, Dagsboro, DE; five grandchildren, Amy Tootle and husband Brian, Matt Long and wife Stacey, Mike Long, Duane Ketterman and wife Jessica, and Kelly Upchurch-Kozlowski and husband Kyle; and, nine great grandchildren, Alexandra, Karlie, Mackenzie, Caitlin, McKenna, Peyton, Brayden, Gavin, and Maksim. Friends will be received at the Upchurch Funeral Home, P.A., 202 Greene Street, Cumberland, MD, on Friday, February 15th. from 4-6 PM. Friends will then be received at the Watson Funeral Home, Millsboro, DE, on Sunday, February 17th. from noon until 1 PM. The funeral service will follow at 1 PM in the funeral home. Interment will be in Dagsboro Redmen Memorial Cemetery. In lieu of flowers, donations may be made to the Ali Ghan Shrine Transportation Fund, P.O. Box 1416, Cumberland, MD 21501-1416. The family appreciates the kind, compassionate care provided by the staff at Allegany Health, Nursing & Rehab Center.